Having won nine of their first 14 contests this season, the Phillies are off to their best start since 2011. It's important to note that 2011 club went on to win a franchise record 102 games. 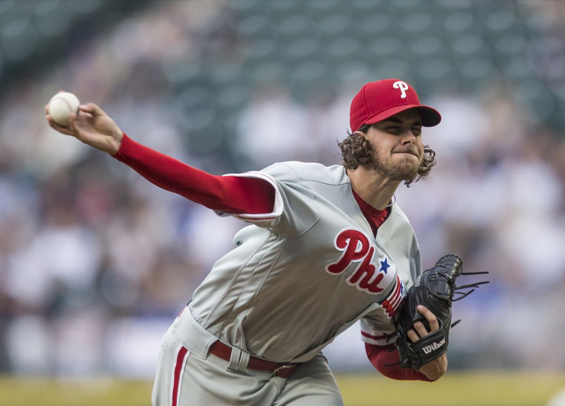 Tonight marks Aaron Nola's 31st start at Citizens Bank Park. Since June 22, 2017, he's allowed three runs or fewer in 26 of 30 starts in Philly and is 19-5 with a 2.35 ERA in those contests. His 199 1/3 innings at home over that span ranks third in all of baseball behind only Max Scherzer (209.1) and Corey Kluber 203.2). Victor Arano became just the second Phillies' reliever since 1900 to complete two perfect innings with six strikeouts on Sunday. Willie Hernandez accomplished the feat back in 1983. Yesterday's contest also marked just the second time since 1900 that the Phillies bullpen tossed at least eight innings and collected 14 strikeouts. New York has won the season series against the Phillies for the past seven seasons dating back to 2012. Further, the Mets are 49-27 against the Phillies dating back to the start of the 2015 season. Noah Syndergaard earned his first win of the season in his last outing, tossing seven innings against the Twins while surrendering four runs on five hits. He's 5-3 for his career against the Phillies in 10 starts with a 3.23 ERA.